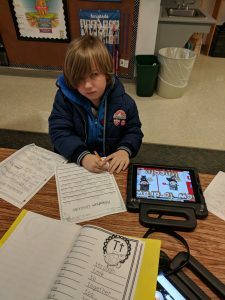 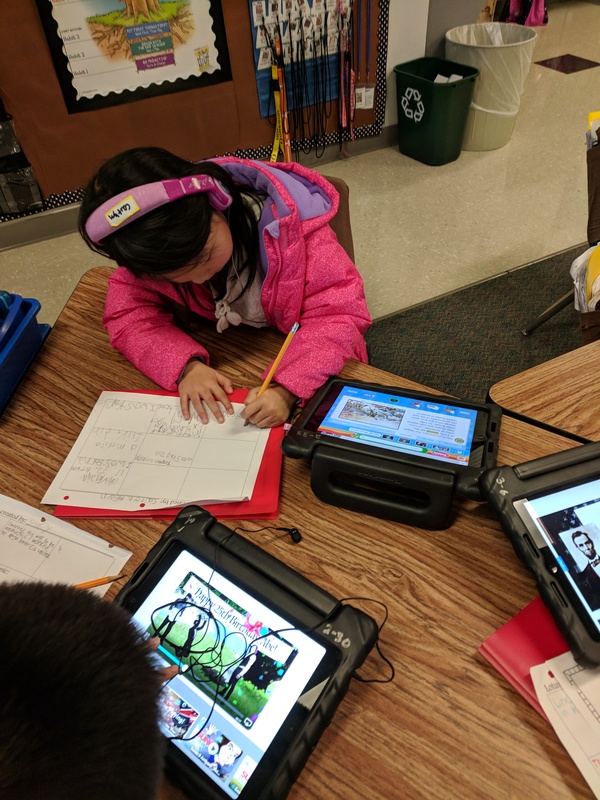 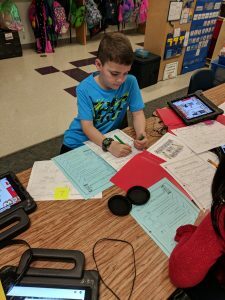 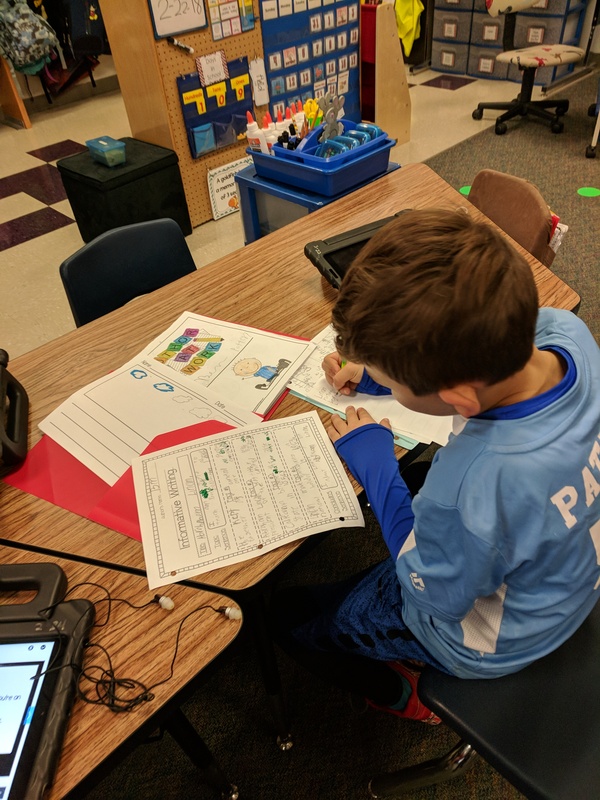 Mrs. Maggart’s first-grade class ued their iPads to research a couple of famous Americans. Using the Nearpod lesson delivery, students were able to navigate through the lesson at their own pace. Given a code for each lesson, students were able to learn about George Washington and Abraham Lincoln.